Spring is almost here, which means that we have some careful planning in place. Read on to see how our buyer Dan Light faces the lean times every year. This year's winter weather has really taken a toll on shellfish supply. "I don't remember it being this bad since the 80s," Norm recalls. Of the many farms we reached out to, Norm Bloom and Son in Norwalk, CT was one of the handful that was still able to get out and harvest shellfish. 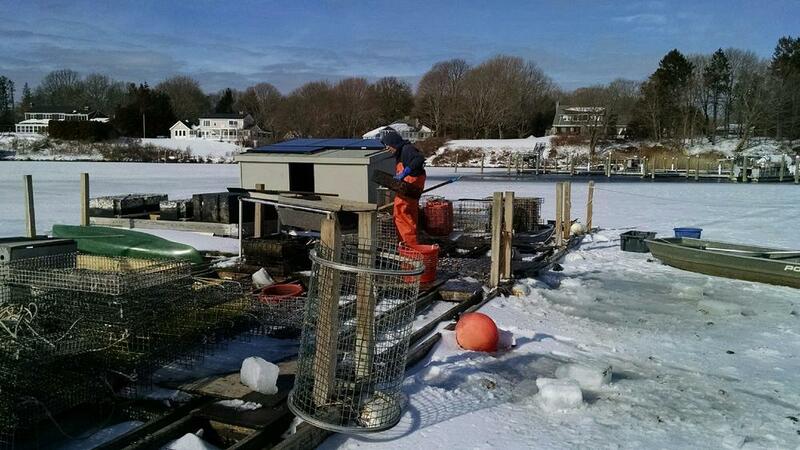 Even as a larger shellfish producer, Norm and team has found it difficult to operate in this weather, too. The eastern side of Duxbury Bay, MA where some of our standish shore oysters are harvested. Taken on Feb. 16, 2015. Ice and frigid temperatures have been the main culprits for this winter's shellfish shortage. Many of our growers cannot access their farms because the ice is so thick. Some areas have called in the Coast Guard and icebreaker boats for help. Mussel and clam supplies have been hit especially hard. 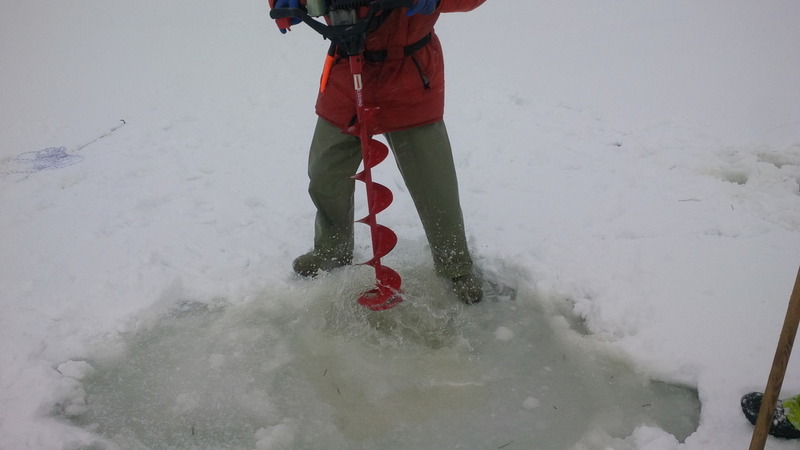 Major mussel producing areas like Prince Edward Island and Maine have been completely frozen over, and it is almost impossible for New England clam diggers to reach the ocean bottom. Floating ice is also very dangerous. 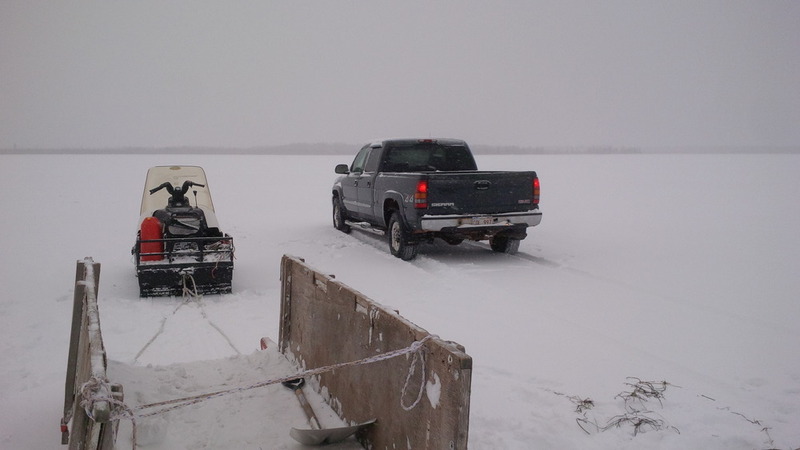 Even when moving slowly, 6-inch-thick ice can easily puncture a hole into a boat with a wooden or fiberglass hull. 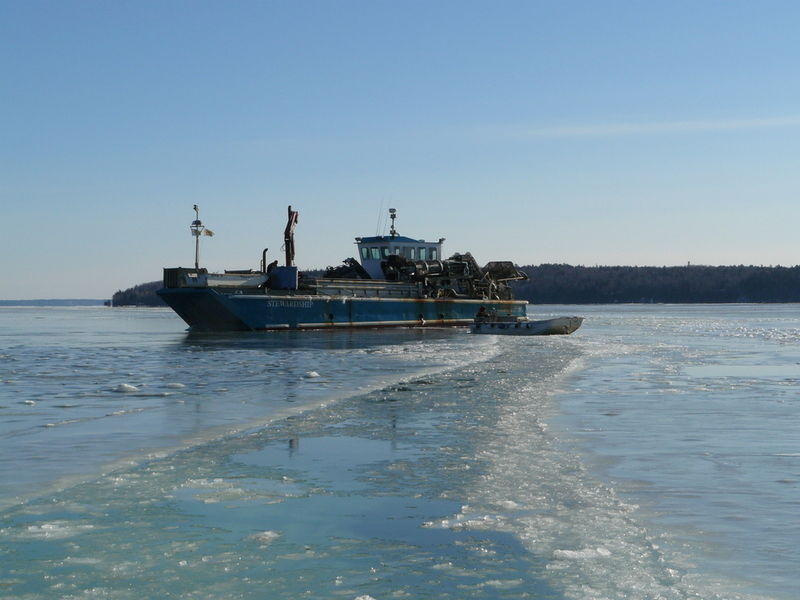 Unless you have a boat with a steel hull, it is pretty risky to sail out when the ice is broken up. Aside from ice, there are regulations in many towns that do not allow shellfishing when the air temperature is 28º F or below. Law or not, shellfishing in these temperatures is not ideal because the shellfish will literally freeze to death when it makes contact with the air once out of the water. So where's the supply in the Mid-Atlantic then? Isn't it warmer there? The Chesapeake Bay has brackish water -- water that is saltier than freshwater, but not as salty as seawater. Salty seawater is more dense, so it tends to sink to the bottom where it's warmer. The surface of the Chesapeake's brackish water, however, has completely iced up after enduring numerous inches of snow and long periods of subzero temperatures. Like New England, there has been very little oyster and clam production. The Baltimore Sun does a great job covering the Chesapeake in-depth and also provides an aerial view of the bay if you would like to learn more. What should we expect for supply in the next few months? Good news is temperatures are going to start warming up in the next few days (and weeks, we hope), which will provide a window for the ice to thaw and allow some growers to access their farms. Bad news is winter kill can be a common problem. Possible reasons for shellfish mortality include being frozen by the ice, smothered by vegetation or silt, or being simply too weak to last through winter hibernation. With those considerations in mind, we do expect shellfish supply to improve, however, oyster varieties will continue to be limited through late summer. Oyster supply will depend on the rate of winter kill and the volume of market product remaining from this past fall. We ask for your patience, understanding, and flexibility as we weather through this difficult time of year. Please educate your colleagues and customers now as supply may become more limited. And of course, please thank your local fishermen, oystermen, and seafood purveyors because they are working hard for you, especially during this wintry weather. Check out the winter content from our growers below.